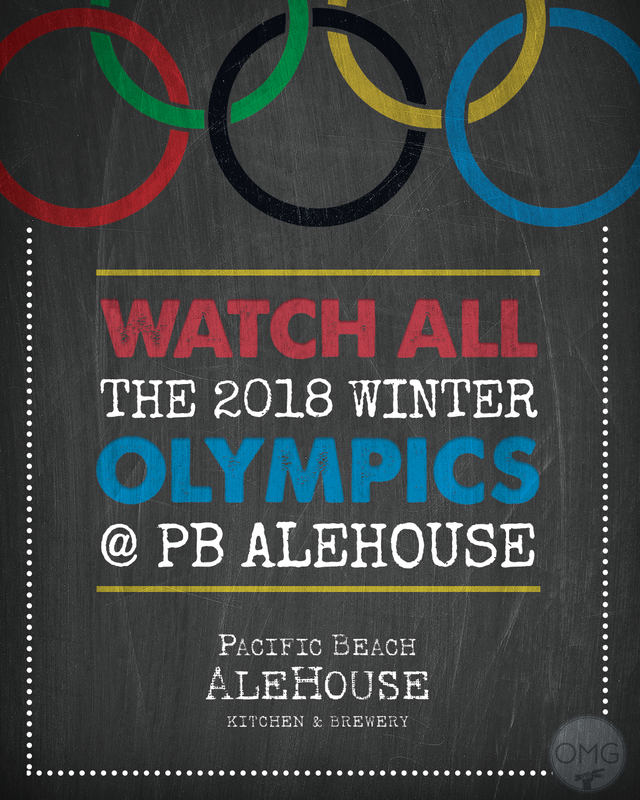 Support team USA with some All-American brews and food at PB AleHouse! 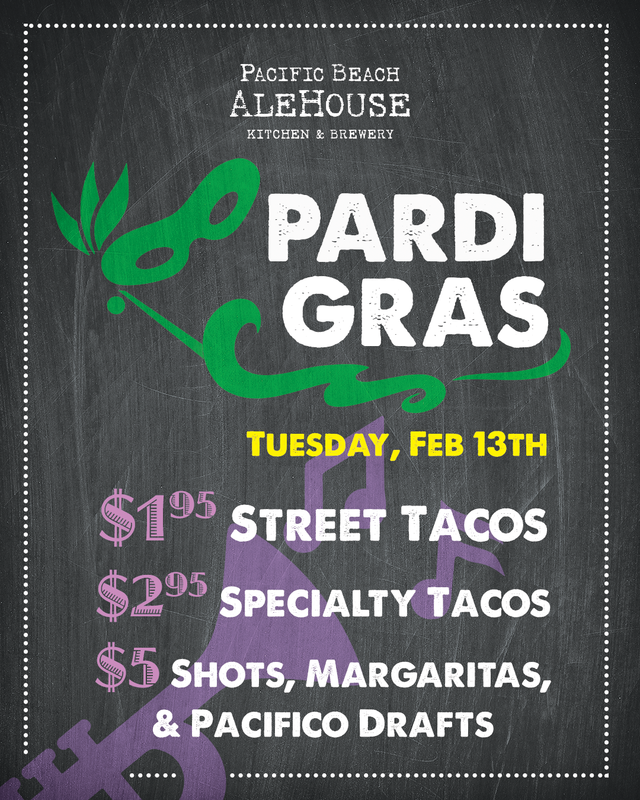 Get your PARDI on this Mardi Gras with some classic street tacos and tequila! 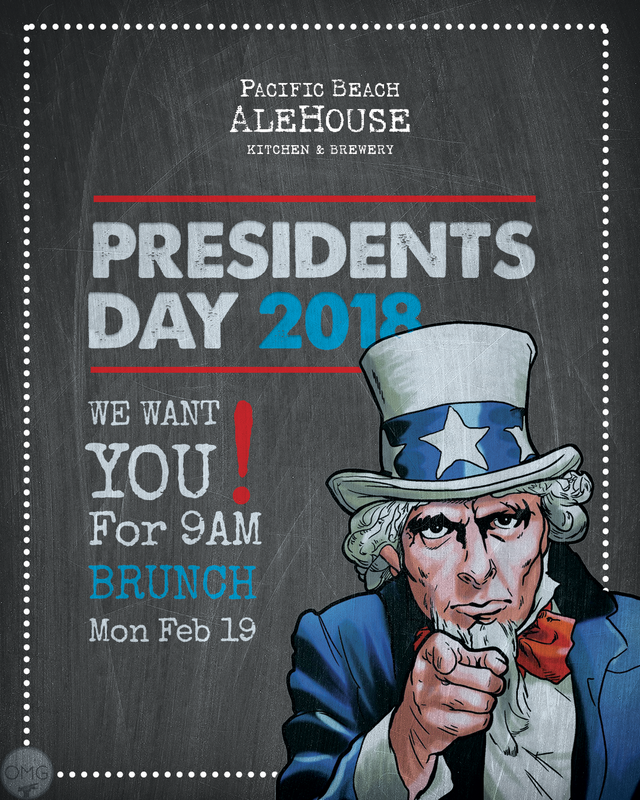 Show your patriot pride and report for brunch this President’s Day – doors open at 9am!